Marvel gave a lucky few fans (and the odd journalist) a 15 minute preview of Doctor Strange today in London, and as the first people in the world to see anything more than the trailers, the reactions to come out of the preview are a good indication of what we can expect. Plus, Benedict Cumberbatch himself made an appearance to the delight of everyone in the cinema. So, has Marvel got another hit on its hands or a potential dud? Check out the first spoiler-free reactions to the movie below to find out. 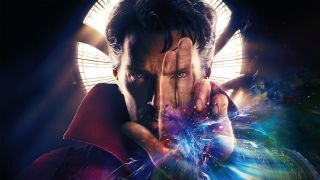 Directed by Scott Derickson and starring Benedict Cumberbatch, Chiwetel Ejiofor, Tilda Swinton, Rachel McAdams, Michael Stuhlbarg, and Mads Mikkelsen, Doctor Strange will release in UK cinemas on October 25, 2016 before opening in the US on November 4, 2016.